She sits on the stage where her book is now about to get launched and she curiously looks into the audience, as if searching for something. From a distance, someone enters the audience and takes a seat. The very sight of him brings her courage and a bright smile on her face. The man is her husband Mr. Harish Pant. 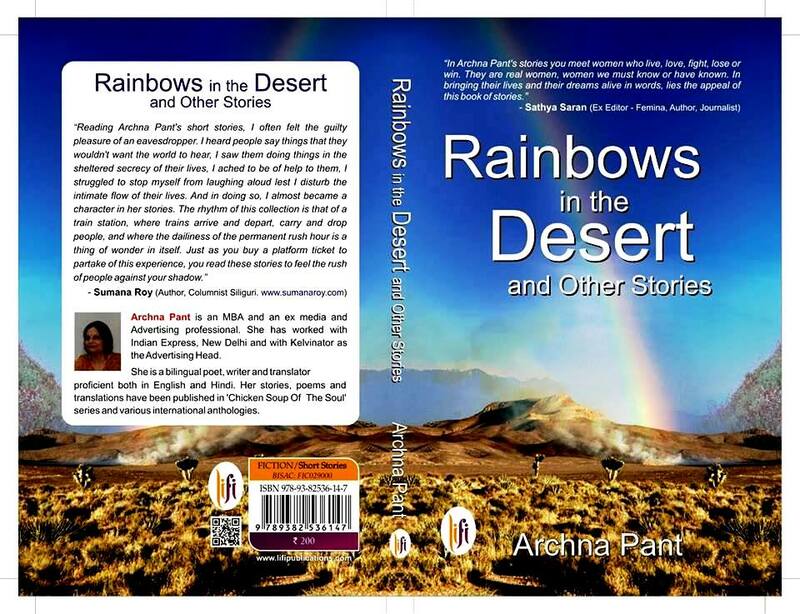 Why I mention this before we begin reading our review for ‘Rainbows in the Desert and Other Short Stories’ (by Archna Pant) is that: I have had a chance to know the author and while we interacted, I could keenly notice that she is sensitive, rather highly sensitive and much attached to her relationships. And when we talk about the book, the very introduction of it, tells about characters who cannot get rid of their sensitivity and accommodate in their relationships with a lot of pain and suffering. And my belief is that one, who can live the character, can write it most beautifully. All the characters in the book (mostly women) have lived inside or very near to the author. There is fiction but the root does deep into autobiography. And the seeds the way they have been planted will make you believe in the stories for none of them leave their axis in real life. 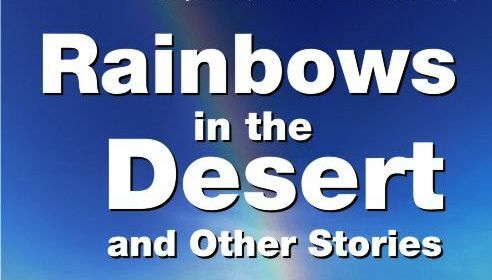 ‘Rainbows in the Desert and Other Stories’ is a book and an author who believe that goodness runs the world. With every passing page, every passing sentence when the characters finish their course, we are left with impact. Here the impact is beautiful. Characters are emotional and with firm belief in goodness and sometimes unconditional love. The vividness of stories and variety of characters range from a young girl pursuing her management course, to a village boy Vishnu who leaves his beautiful valley of Kumayun to chase an elusive dream to an old woman who sits on a chair of forgiveness and lets every relative exploit her, loves forgiving her son and keeps the most dreamy smile on her face. The story of Janaki, an ayah, who is beaten and then murdered by her husband leaves the reader to consider the darkest corners of life, we never dare to peep in. And the title story is of Malati an innocent lively girl married off to a much older man and yet manages to create rainbows in the desert. The stories go smooth and gripping, details could have been worked upon, we give the author concession over language as with such wide range, more experiments could have been done but as it is her debut novel and yet she reaches the mark so well and the binds the reader, we pat her back for bringing to us some of the most beautiful stories ever shared over a bonfire. And we welcome a fresh new storyteller into our streets of literature. And when you start reading the book: look for character Vishnu (Lessons of Life) for the reviewer felt closest to him and shared a part of his identity. Contact the reviewer at [email protected].